Tired of messing around with a silly old belt buckle? So are we! That's why we came up with the buckle-free belt! No latches, buttons, or buckles to deal with when you need to unbutton your pants. Easily take bathroom breaks, go to the gym, or slip your pants off when you get home from work! Simply snap the belt on once and forget about it for the remainder of your day. 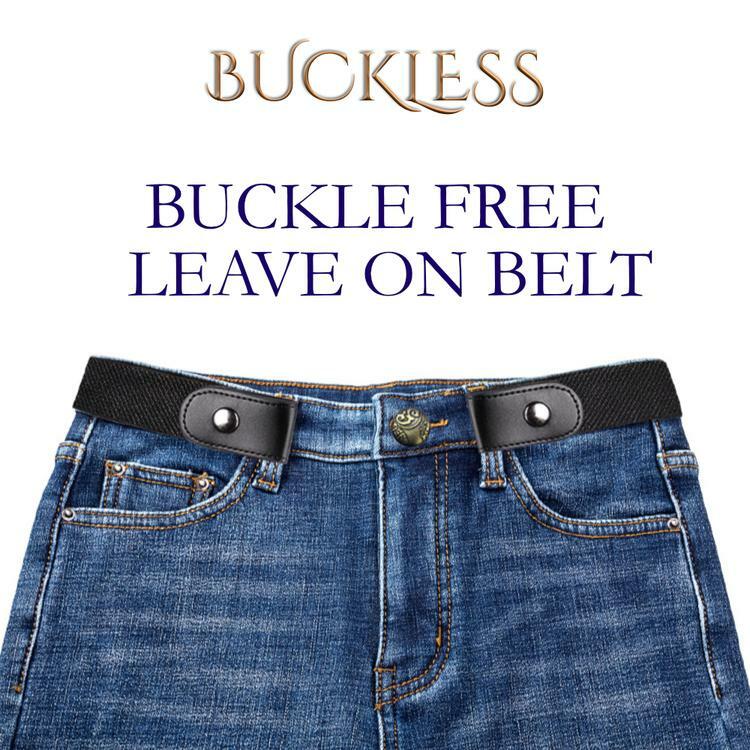 MAKE YOUR LIFE EASIER: No need to unbuckle a belt, ever again! This buckle-less belt makes taking your pants off a breeze! Leave it on your favourite pair. SUPER COMFORTABLE: The belt is made from elastic so it is super comfy! Just ate a big meal? No problem! This belt allows you to breathe with ease. SLEEK, SLIM LOOK: You know the unsightly buckle bulge and flap that ordinary belts give you? Yeah, you won't have that problem with the buckle-free belt. HIGH-QUALITY: This custom-made belt is crafted from the finest materials you've ever seen. You'll be impressed! GREAT FOR EVERYONE: Whether you're a man, woman, or child the buckle-free belt is right for you. it's perfect for wearing to work, school, during strenuous activities, and so much more. senior citizens love it, too! Shipping times are approximately 1- 2 weeks for delivery to most countries including USA, Canada, Europe and Australia. Simply email us at store@hattondesigns.com quoting your order number and reason for return. We will then issue you a refund authorisation code and a return address.